Howdy there folks! Next week we're going to be doing a meet up in downtown los angeles while people are in town visiting for Anime Expo. Though we usually meet in front of the expo, I'd rather have the meet happen somewhere with better/more affordable parking than the LA Convention center and do lunch afterwards. I'll be bringing some stuff to give away, so I hope visitors to LA and locals will be able to join me! If there's anything you'd like to see in Little Tokyo let me know! I'd love to point out the places of interest and help you find any items from Japan you might be looking for. The time: 11:30am is when the meet up happens! Then lunch around 12:30 or so. 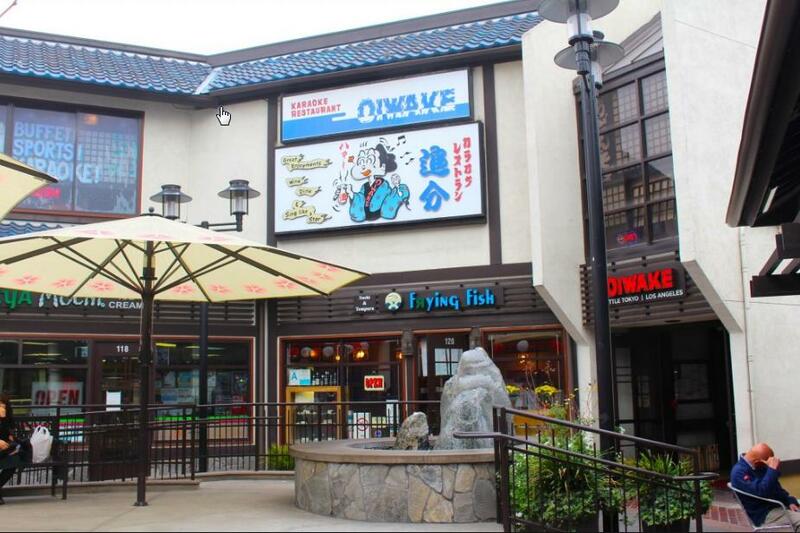 The place: I'll be hanging out near the center fountain in Little Tokyo's Japanese Village Plaza. There's a bit of construction in town, so avoid First Street which is closed for Subway construction. There are several parking structures near to the Village Plaza, here's a map. Here's the Ebisu, a reasonably priced Japanese tavern with a authentic interior. Please let me know if you'll be coming and if you're staying for lunch so I can reserve a table. Menu here. If you're coming from Anime Expo, you can take a free shuttle (when you present your badge) from the convention center to the Doubletree by Hilton, which is only a few blocks away from the meet up spot! If you have any questions about the meetup or how to get to Little Tokyo let me know in the thread! Wow, that's like 20 minutes from my home. Nice! You should come on down. You might be in range of the Gold Line. It'll be at 11:30am in Little Tokyo, hopefully that time works for everyone. I'll be hanging out in that area for a bit. Really wish I could come! I hear GM Campitor is giving out free MvP Cards! where can i take the shuttle? and is it free with the anime expo badge? (i got already my code for AX badge). Edited by 2637140131190422163, 29 June 2016 - 07:24 PM. My common sense is tingling... This -_-'s a trap. You all are gonna get over there, then they're gonna lock the doors and force you to listen to a presentation on why you should invest in tiki shirts. Edited by ClickClickClick, 29 June 2016 - 08:32 PM. My common obsessive troll sense is tingling... This -_-'s a trap. Edited by Lifiatansh, 29 June 2016 - 09:18 PM. I crack a joke, and get insulted. Gonna give you an up vote, hope it improves your self-confidence a bit. When you get to that hotel, head East on 1st street until you get to the Japan village area. You'll see a giant red wood tower by it's entrance. Should have notified folks hella earlier! OK! i printed the map already. Hope to be there on time to say hi! I'm definitely interested, but likely won't make it there until 1pm. How will I find and meet everyone? Around that time we may be getting lunch, I'll post updates on the RO twitter (@playragnarok) and in this thread if the cell reception's not too bad. Thank you Oda for taking time out of your day to organize the gathering today and showing us around to some of your favorite spots. I greatly enjoyed meeting a few of the community that really enjoy this game. I wish I checked the forums/FB page earlier. Thanks for everyone who came out on Saturday, I'm happy we had a good turnout...last year was pretty tough due to T-Mobile being completely out for me inside of the convention center. I'll get the pictures posted up soon! Photos are posted up here! Oh, I just remembered that Oda mentioned something about an exclusive headgear that's only given to those that meet a staff member in person. Are we still lucky enough to claim one these? Is there a code I missed out on your giving away to us Oda? If you wrote your name down on the sheet that was passed around I have added it to that character. Just checked the character name I wrote down, nothing there for me. Maybe I had bad hand writing - or didn't sign *your* sheet?